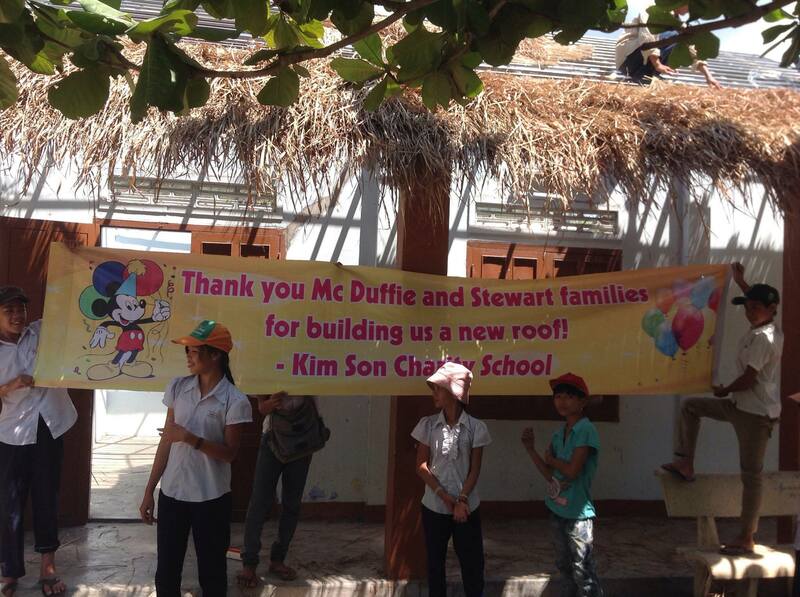 On September 1, 2015 we completed putting up a new roof at the Kim Son Charity School. 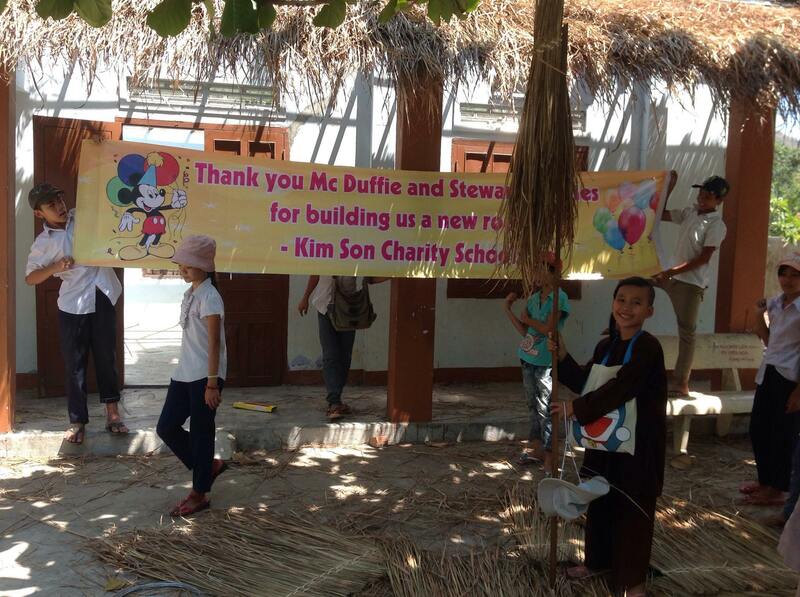 This project was funded through donations from the McDuffie and Stewart families. 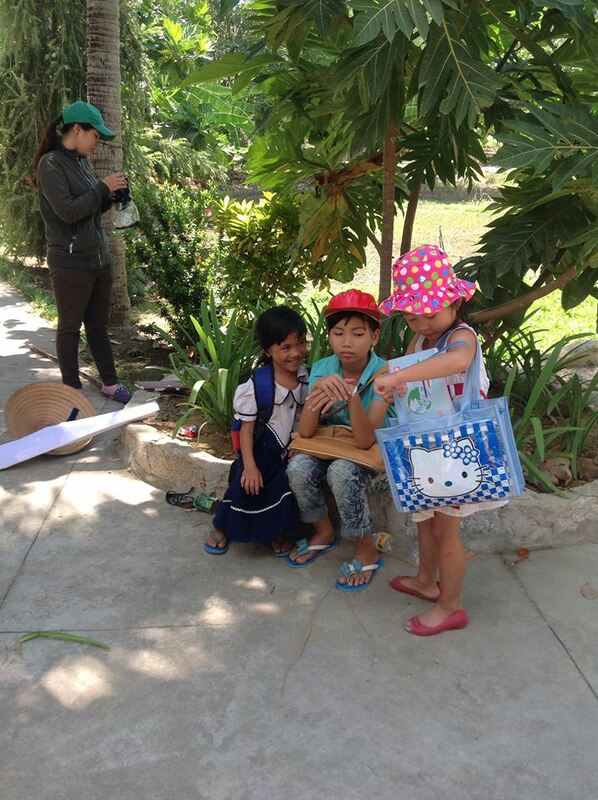 Kim Son provides free primary schooling for neighborhood youngsters whose parents are too poor to afford the costs of public schooling. 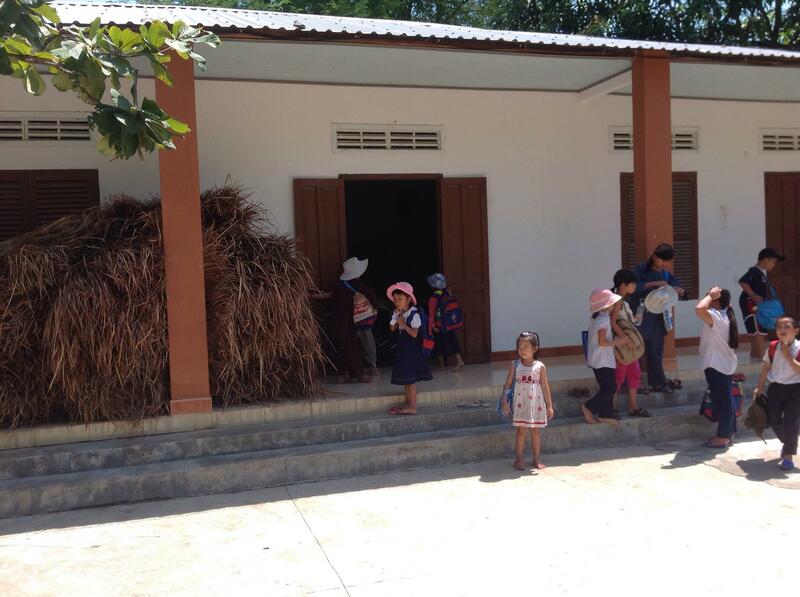 Kim Son provides uniforms, textbooks, school supplies, and classes taught by accredited teachers. 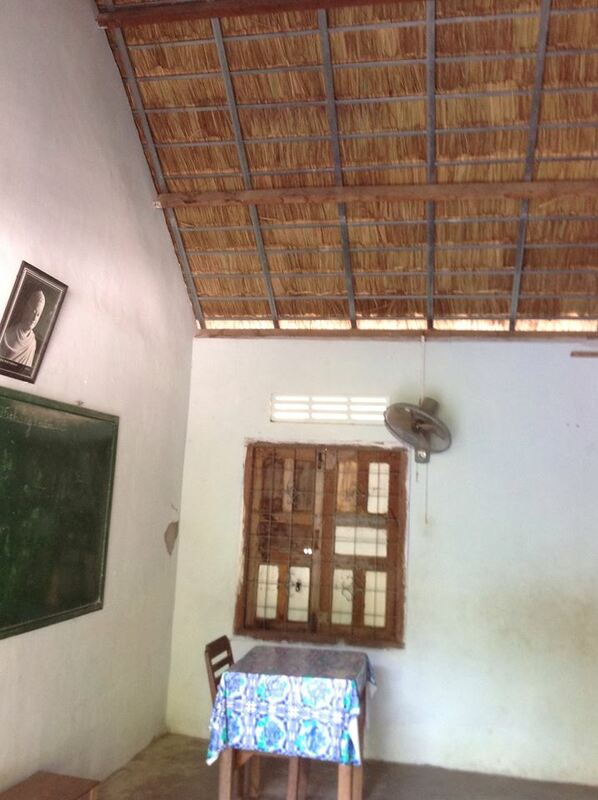 One of their older classrooms has a thatch roof that had gotten so old that large gaps had appeared, allowing the rains to come straight into the classroom. 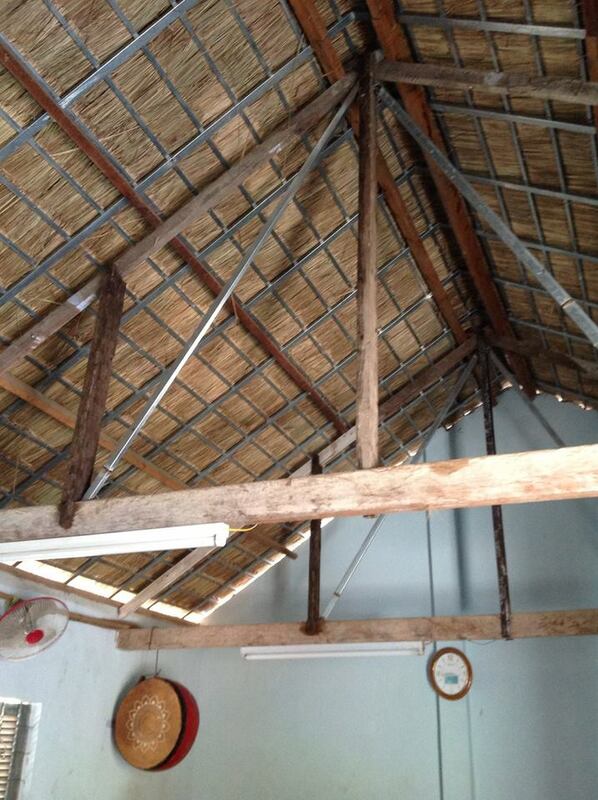 Metal roofs get too hot in the summer, and a new thatch roof would provide 100% protection for years to come. 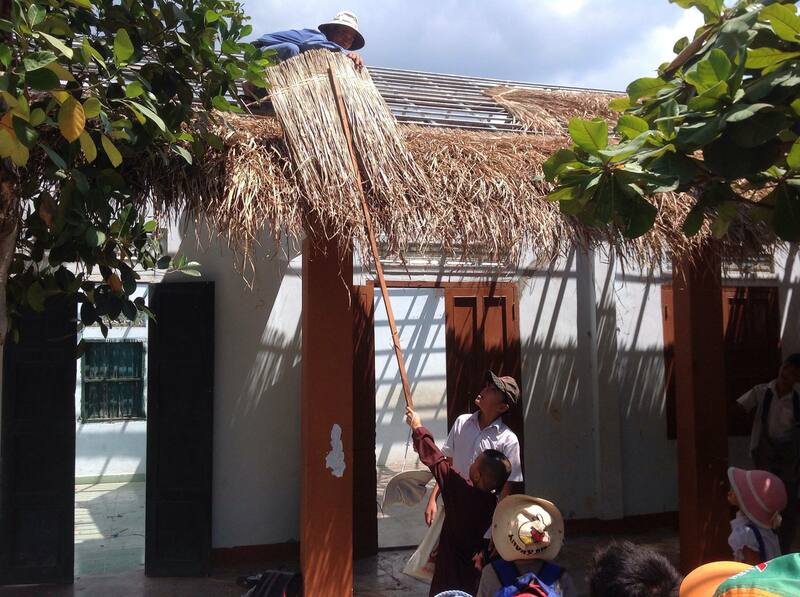 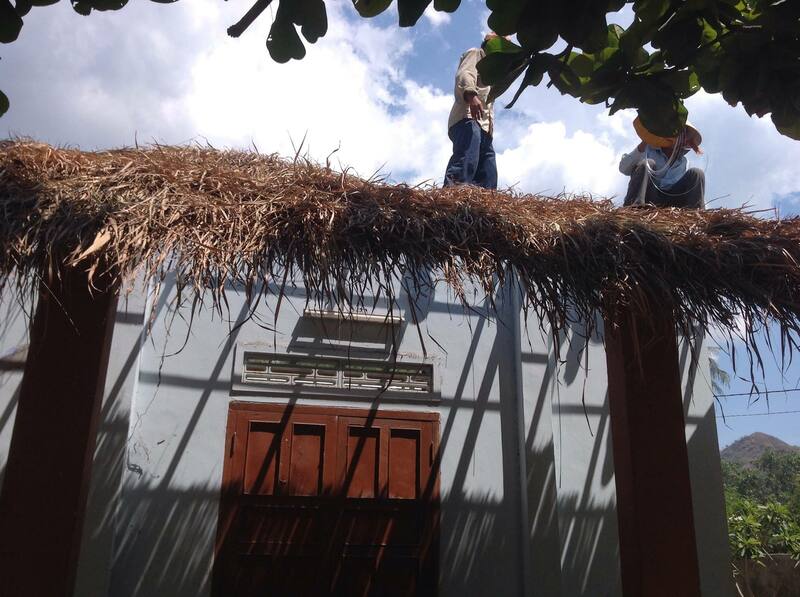 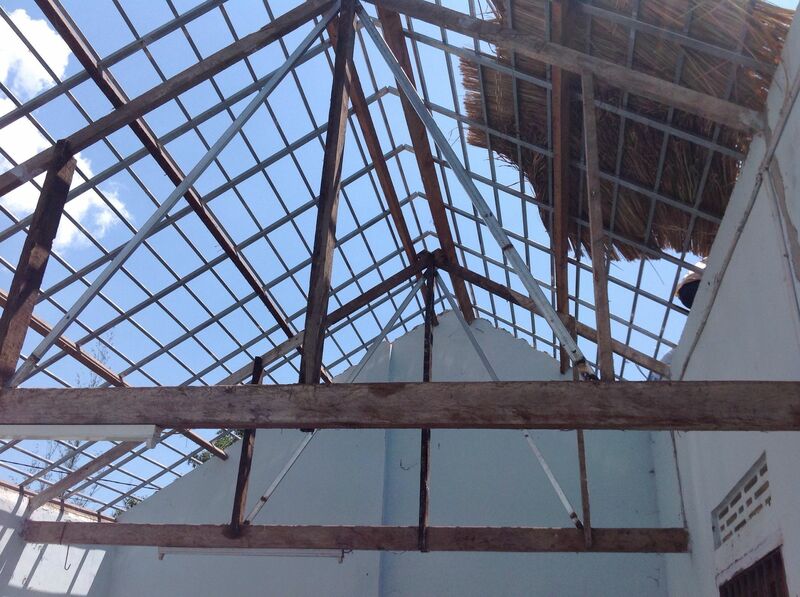 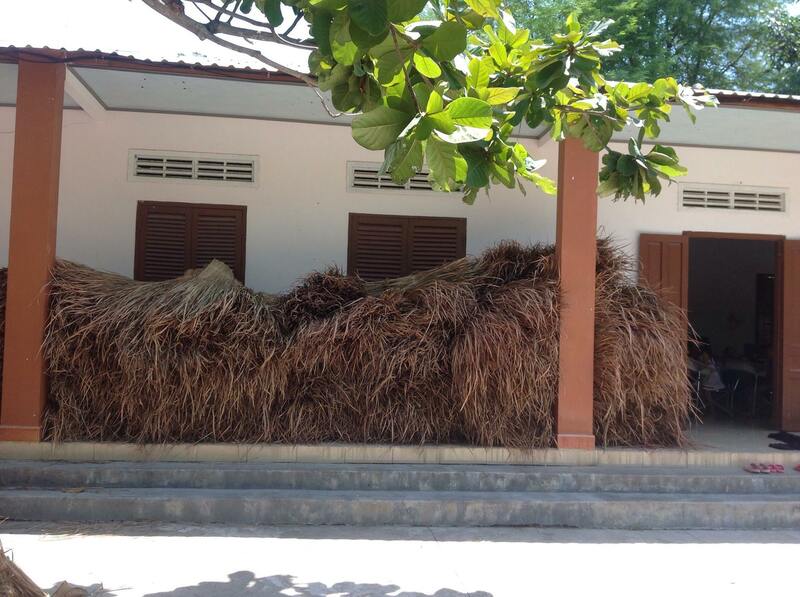 Our team arranged for the new roof, and the school children even helped lift the sheets of thatch up to the workers. 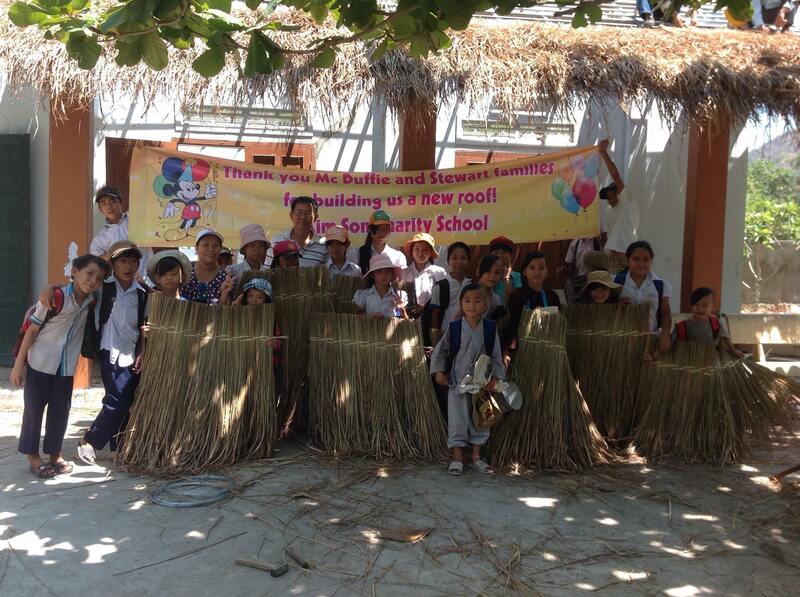 It was a fun celebration when the work was completed.